A city more than 2000 years old and the whole of the Old City is declared a UNESCO World Heritage Site. What was great about this port is that no busses where required to reach the old city.You could just walk on and off the boat at your leisure.After a wonderful guided tour (included but still optional), we were off to explore on our own and taste the local cuisine at the Historic Sausage Kitchen. Afternoon offered guests a special “beer tasting” with a local expert. 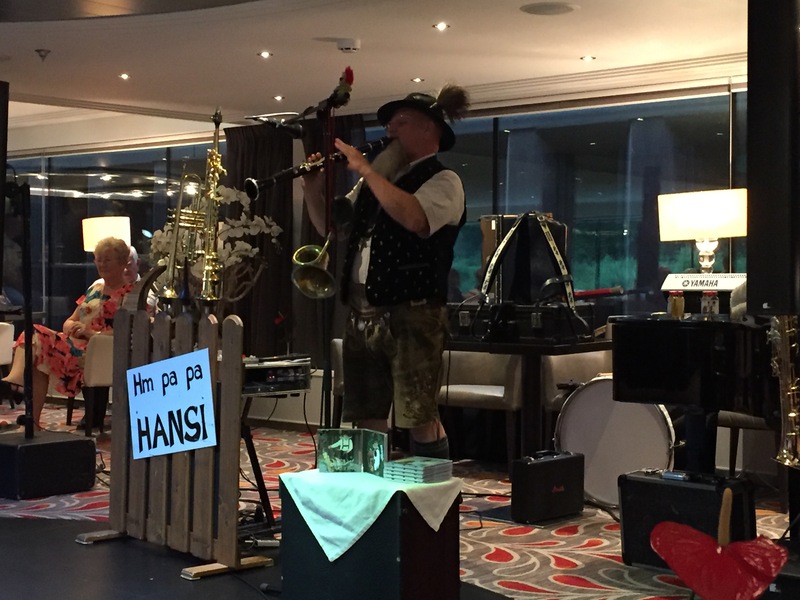 After dinner the on board entertainment was Hans O’Marush, The One Man Bavarian Humpapa Band. We said goodbye to the Danube and head into the Main-Danube- Canal.This is a man made canal to connect the Rhine with the Danube.During the night we were at the highest point which is the Continental Divide. This city was bombed heavily during the war and they have rebuilt many parts now. 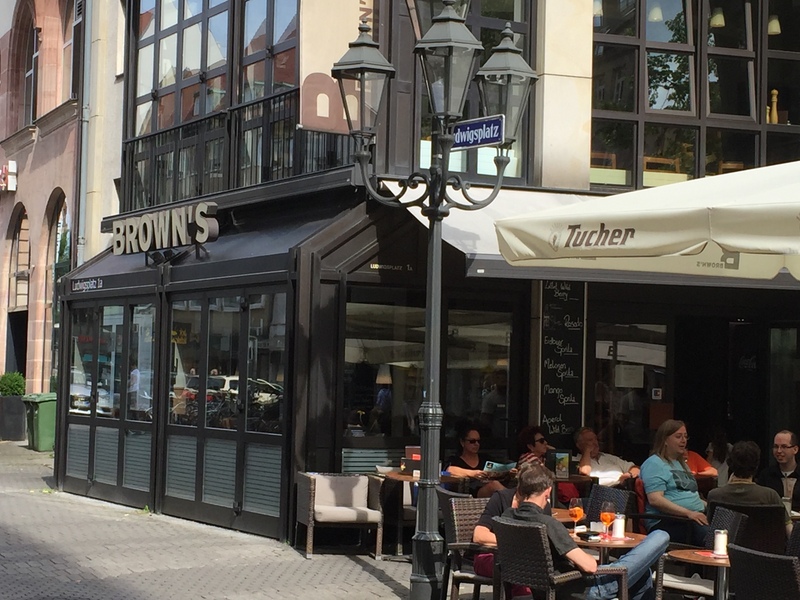 An early morning lecture on the Main-Danube-Canal from a local expert, then off in the afternoon by coach to Nuremburg for a guided tour, followed by a stop at “Brown’s” for a beer.They sure look like same restaurant as in Canada! Dinner this evening has to be mentioned as an option was lamb chops.Some of the best I’ve had!And dessert the local apple strudel – can’t get much better than that. 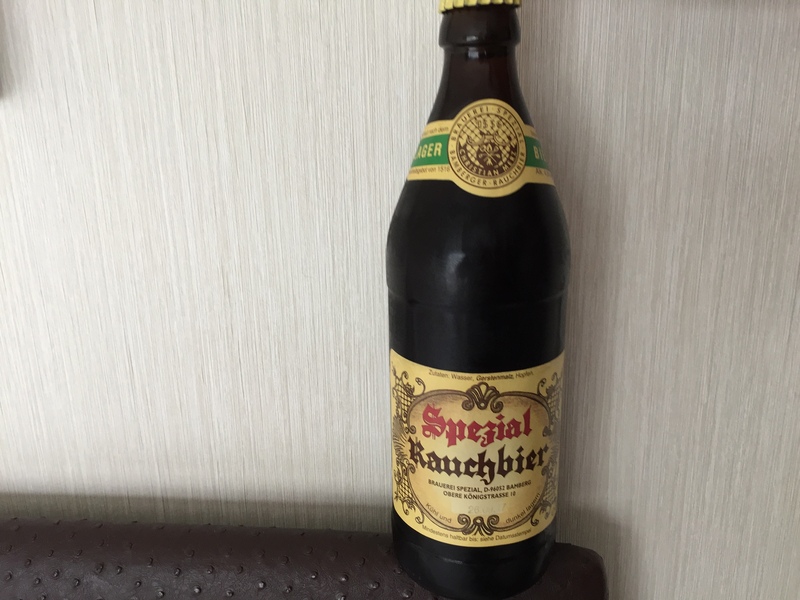 Early morning short bus ride into the old city for an included city tour than off to explore on our own.One beer very particular to the region is a “smoke beer” that is said to have a smoked bacon taste.This area is also considered Germany’s beer capital.The city itself has 10 independent breweries. We met up with our boat further down the river (Am Kranen) early afternoon and enjoyed a fabulous Bavarian Lunch. Evening entertainment was Thorsten Loher – by far the best entertainer so far!! 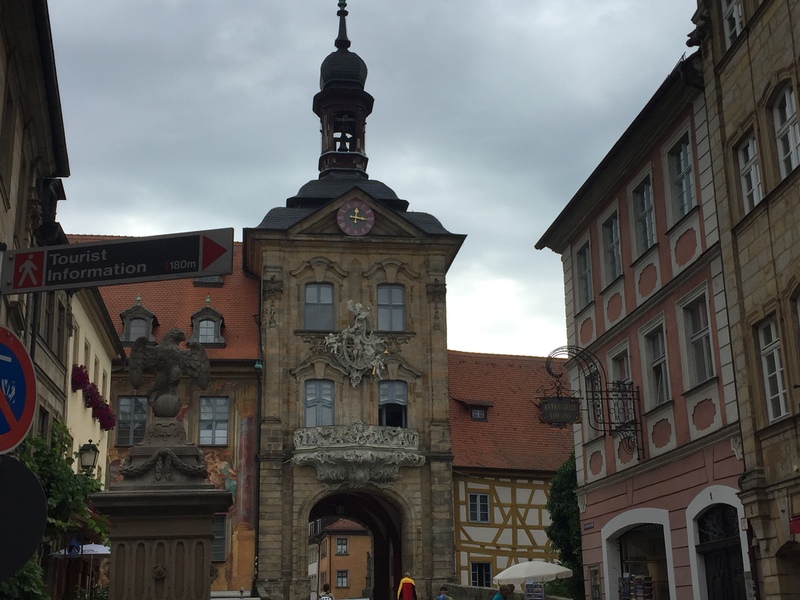 We woke up in Wurzburg where a guided city tour was included of “The Residenz” and the city, then off to explore on your own. 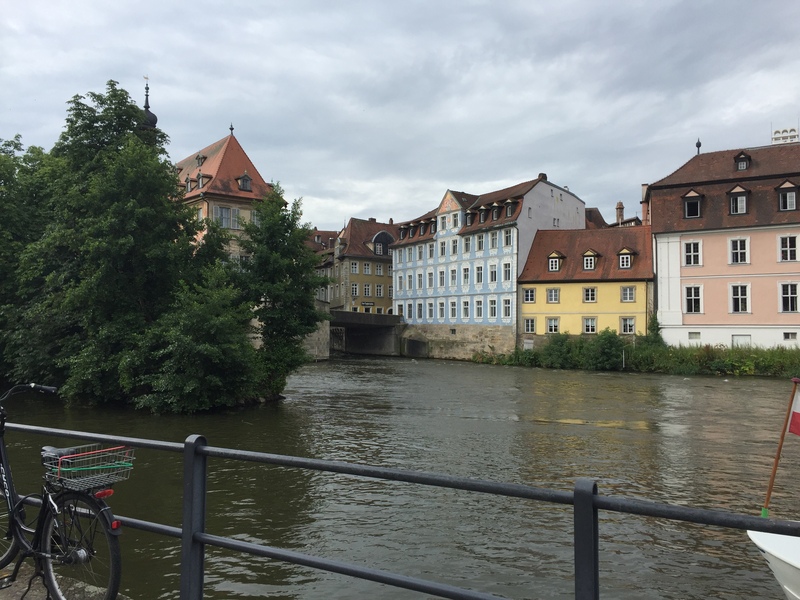 Back on board by 12:00 noon and optional 1 hr bus ride to Rothenburg in the afternoon (at a cost)If you chose not to go, you just stayed on the boat while it repositioned further down the river. 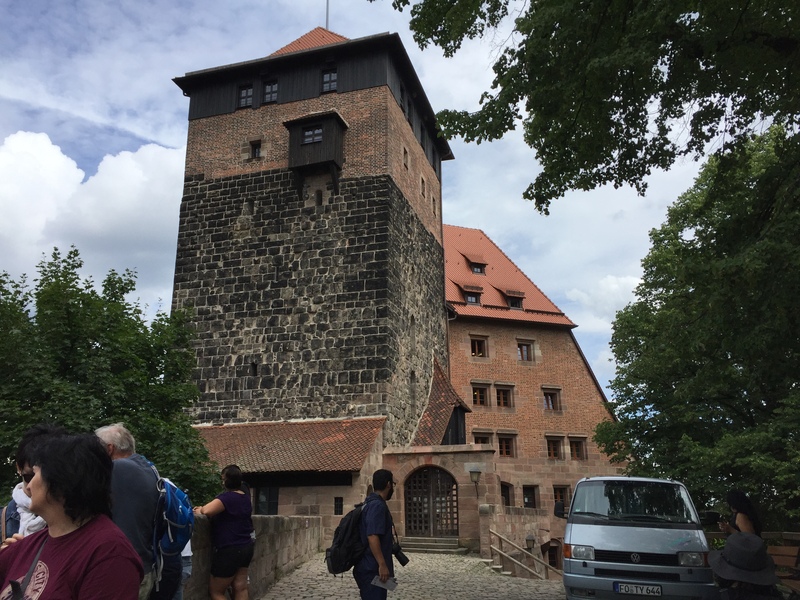 Rothenburg may be my favorite city we have been to so far.Very preserved town with the oldest house dating back to 1270.Well worth paying for this excursion! What did make it even better was the best guide one could have. It is a long day as you don’t meet up with the ship until after 6 pm but I think very much worth it. 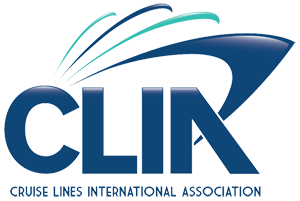 The included guided tours are always optional but can leave at 8:30 am and don’t return until lunchtime.You don’t have to take the tours, but if the city is too far away you will need to go with the busses when they leave or else stay on the boat.If you want more time to relax on the boat during the day, just pick less “paid excursions” and then decide as you go which included tours you want to participate in. The upper deck can be closed for several days when travelling through the Main river area due to some bridges being so low the boat just gets under. This can be disappointing to some as they love to be up on top, but you can always go to the front or the rear where there is seating outside. Love that Avalon always includes a guide for “gentle walkers”. You don’t need to think you will be way behind the group or can’t even go if you can’t walk as far or as fast as others. 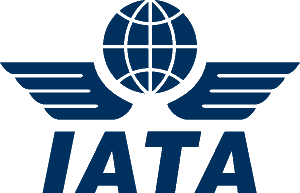 Let's help you start your trip! Anita Get Away will help plan your next vacation.